"Come on, come on down sweet Virginia...Come on, come on down, you got it in you..."
- Rolling Stones, "Sweet Virginia"
(November 25, 2012) - On Sunday, my older brother Billy Jr. (pictured below, left) and I toured the Warner ancestral homelands down in Loudoun County, Virginia with my 90-year-old dad, William Stone Warner (aka "The Duke," pictured below right). 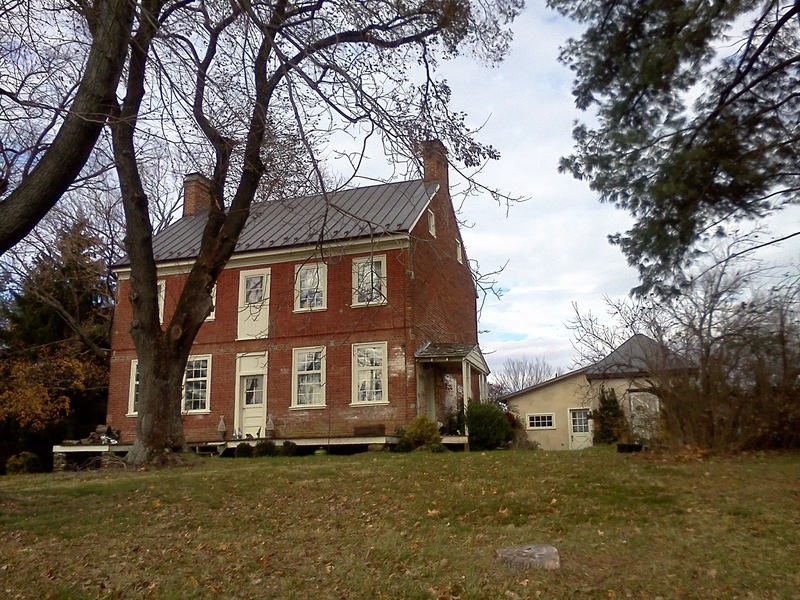 You see, my father's family once owned an antebellum property in Lincoln, VA called Evergreen Farm. Both my father and, later, my brother played there as children and had fond memories of the house and multi-acre estate, which included a pond, well spring, farm animals, farm staff, and lush flora and garden (as shown below). My brother Billy, a seasoned (and battle-weary) Pennsylvania-New Jersey-Delaware "Road Warrior" made the two-hour trek down from Yardley, PA to Baltimore to pick us up and then drove another two hours plus up I-70 and over the Potomac via Brunswick into Purcellville and Lincoln in Loudon County, VA. (Amazingly, Billy doesn't drink coffee - all his energy is generated by Diet Coke, who should seriously consider sponsoring his commutes.). 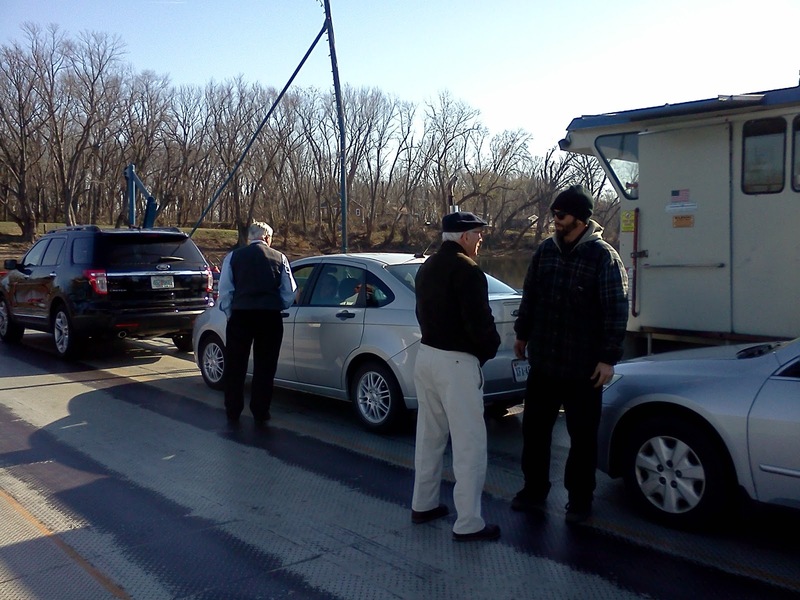 It was an amusing ride, with only intermittent outbursts of "road rage" (e.g., "Jeezus, look at this jackass in the BMW!" and "Get over, you $@*#! dirtbag!") - admittedly a genetic trait handed down to all Warner men. But my stick-shift savvy brother's seen it all, living near the city of Brotherly Love, home to "the worst drivers in the world." I was the backseat backup navigator, punching in coordinates in my cell phone GPS app while my dad worked the route mainly from memory. 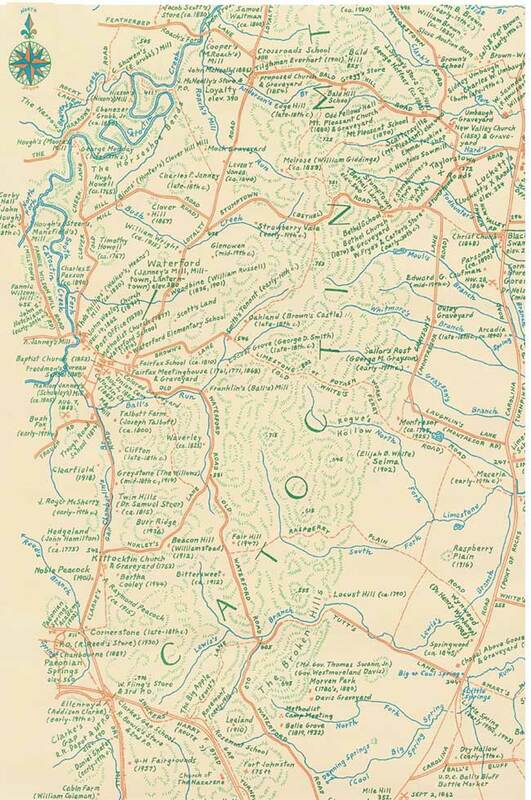 I was really impressed that he knew all the little backroads like Natty Bumppo the pathfinder; and,when in doubt, this former Navy pilot could pull out a map and figure out our route like he was planning a air reconnaissance mission. 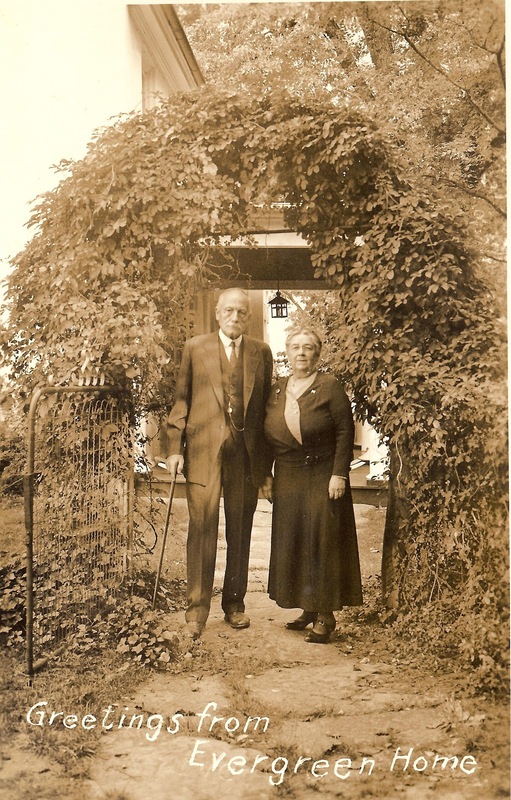 OK, a little more backstory...Our dad's parents - Dr. Howard Warner ("Rah") and Ruth Stone Warner (aka "Muddy" or "Nan") - once owned Evergreen Farm in Lincoln, VA (between Purcellville and Leesburg), which was a big Quaker settlement back in the day. 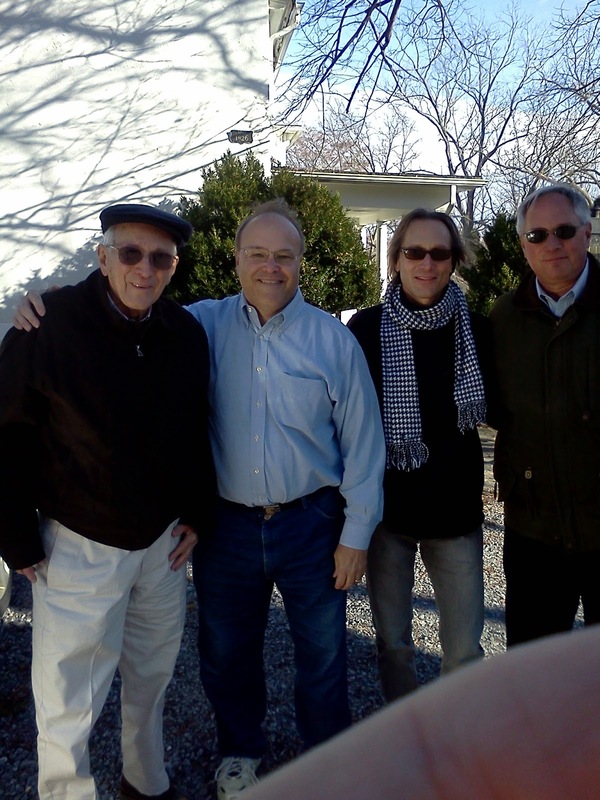 (My dad, brother and I all share the same middle name, "Stone," in homage to the matriarchal branch of our family tree.) The Warner side of the family was Quaker; the Stone side, decidedly not. 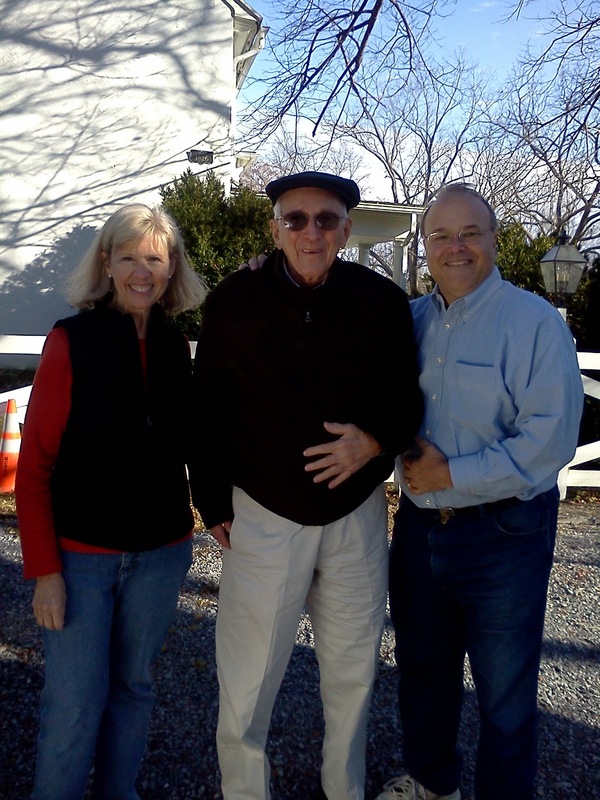 Evergreen Farm in Lincoln, VA. Dr. Howard Warner is standing in background. 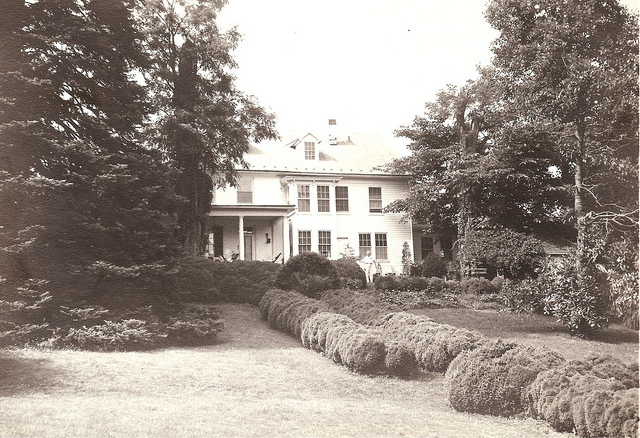 Before that, Evergreen Farm was owned by Uncle Howard and Aunt Sarah Hoge (nee Sarah Smith). 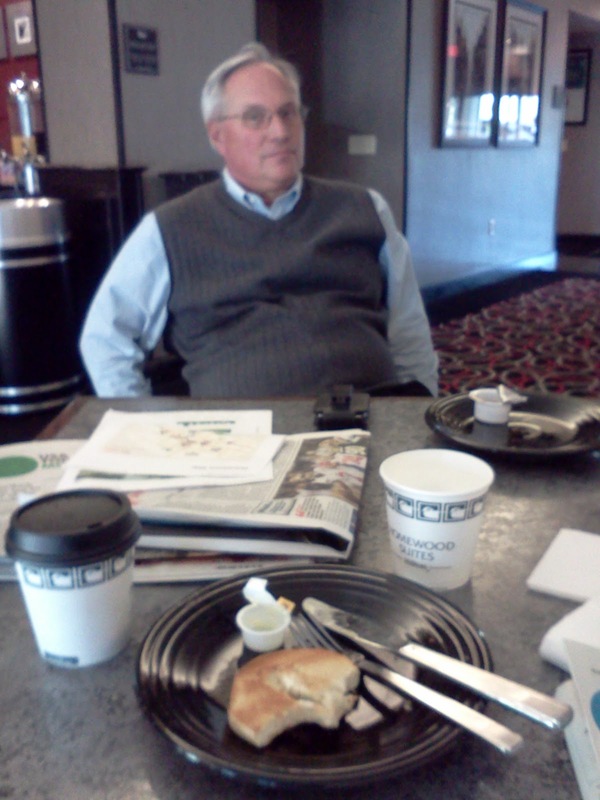 Howard Hoge later sold the farm to Dr. Howard Hoge Warner, my dad's dad and my - and Billy Jr.'s - grandfather. 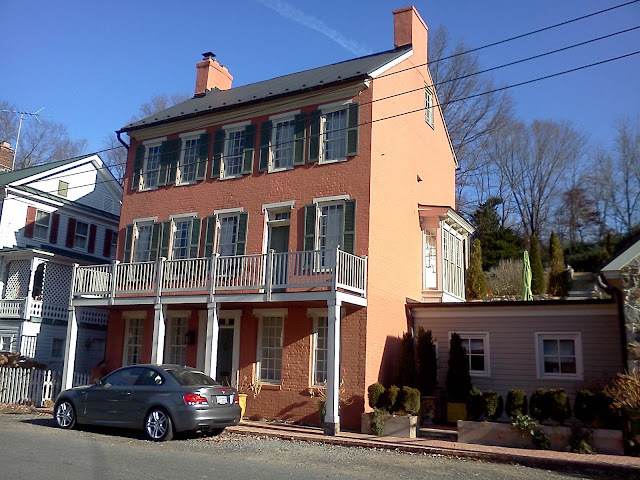 Sarah Smith Hoge was actively involved in the Women's Temperance movement and was renowned for having kept Loudoun County dry for decades. The Quaker distaste for drinking and smoking was not shared by dad (nor by his mother!) 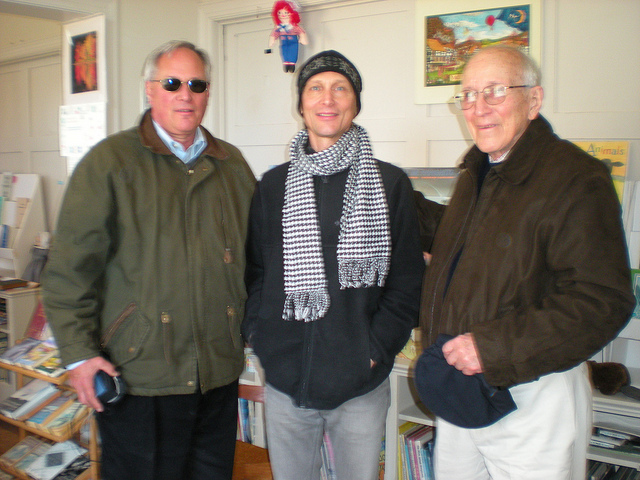 - nor the pacifism, as he served his country as a Navy pilot during WWII. 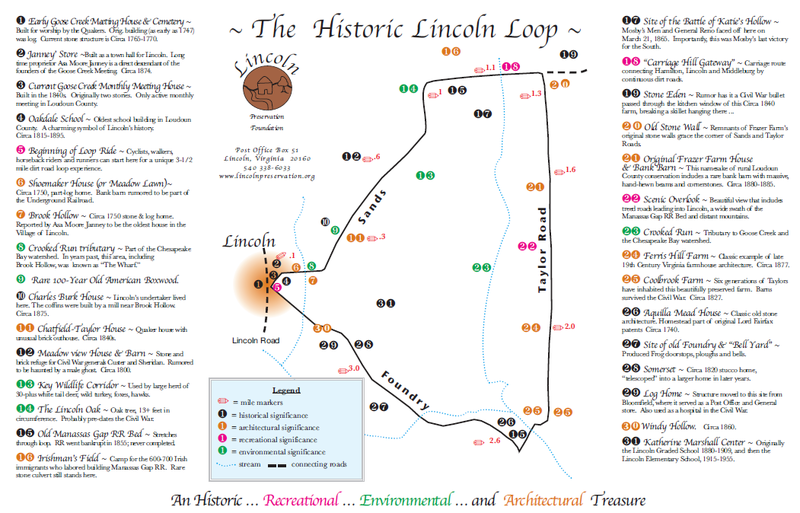 The trip was originally inspired by my dad researching Evergreen Farm and coming across an historic walking tour map called the "Lincoln Loop." 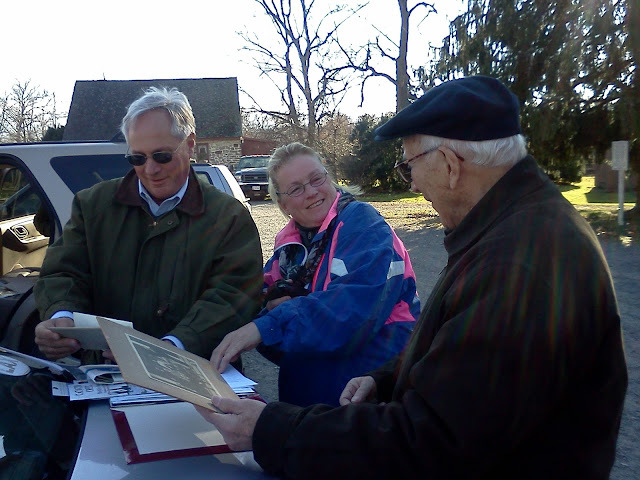 The map and tour were created by Andrea Gaines, President of the Lincoln Preservation Foundation (LPF). 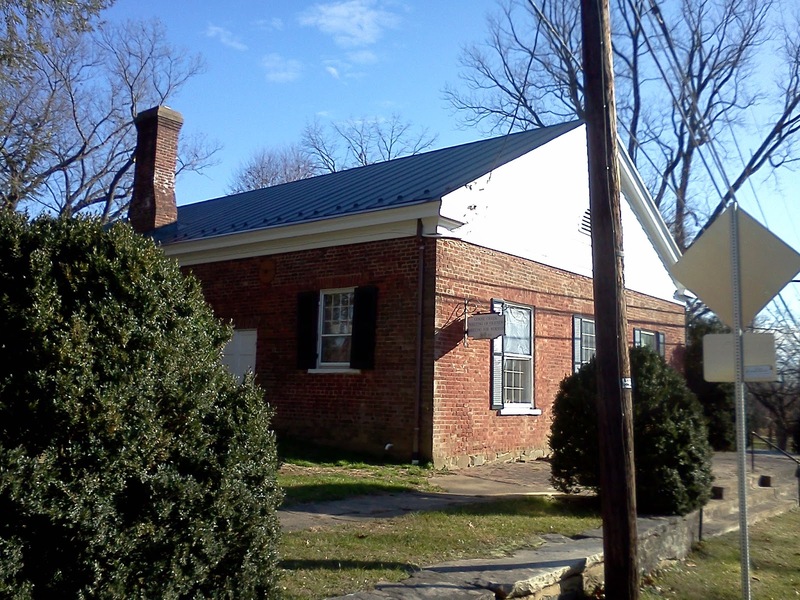 The Lincoln Preservation Foundation is a non-profit corporation founded in 1999 by residents concerned about the fate of the Goose Creek Historic District, a 10,000 acre tract of rural farmland, historic sites, and wildlife habitat in western Loudoun County, which includes the Quaker village of Lincoln. 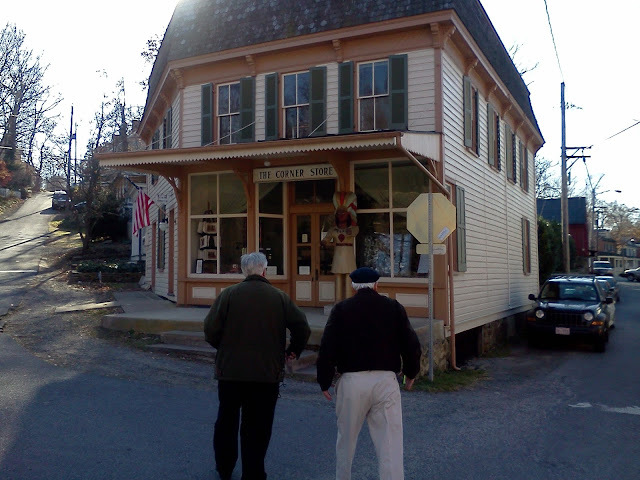 The LPF’s main objective is protection and preservation of the structures, environment, and rural character of the Goose Creek area. My dad contacted Andrea (a self-described "Jill of all trades") and told her about our family connection to the area. 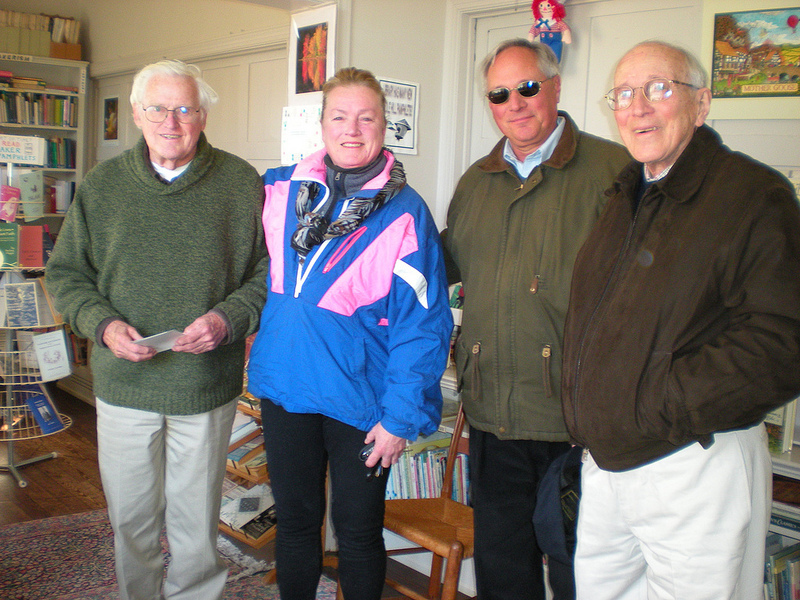 She agreed to meet us at the Lincoln Post Office and give us a personally guided tour of the Loop. While waiting for Andrea, we met her associate Ed Liggette, a Lincoln resident who opened up the Goose Creek Friends Meeting House (located next door to the Post Office) to let us look inside. 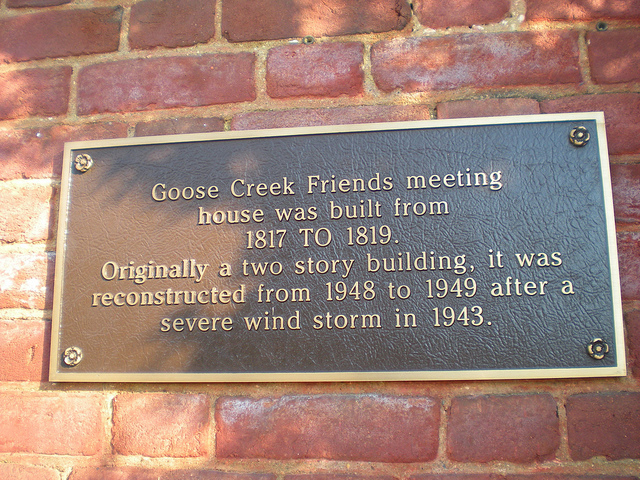 Goose Creek Friends meeting house sign. We arrived too late for the 9:45 a.m. service. 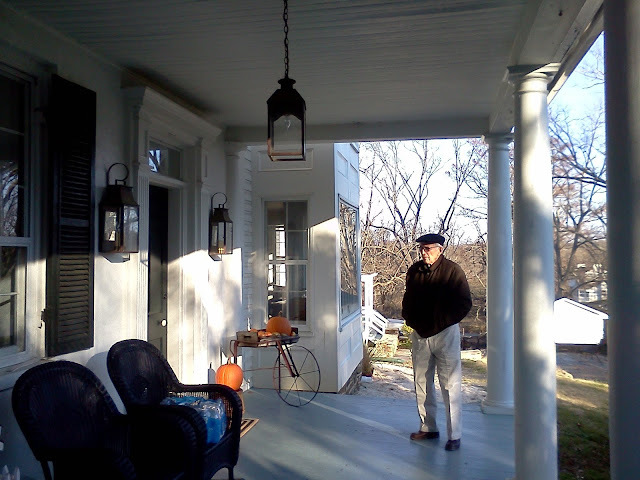 We chatted briefly with our affable host Ed while enjoying the warmth of the meeting house (it was bone-chillingly cold outside!). 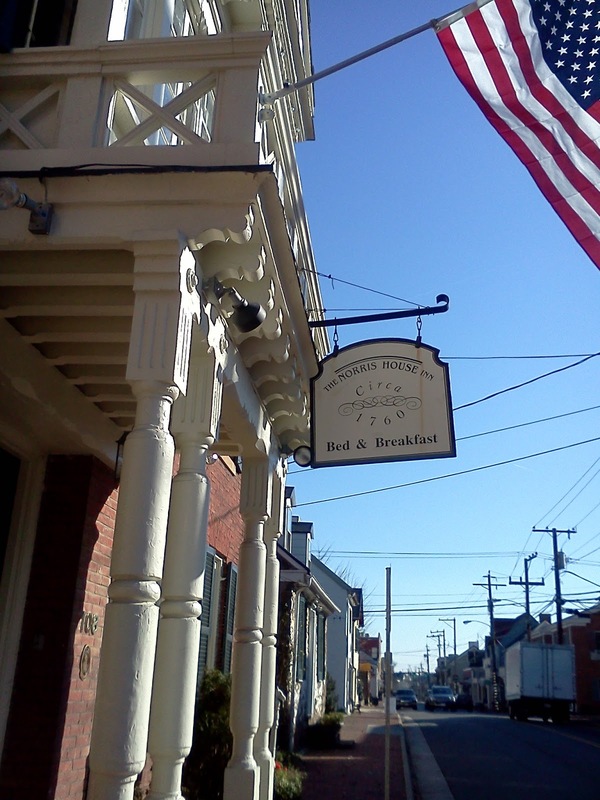 Small World Department: When my brother told Ed he lived in Yardley, up in Bucks County, PA, Ed revealed that he attended the George School as a youth. 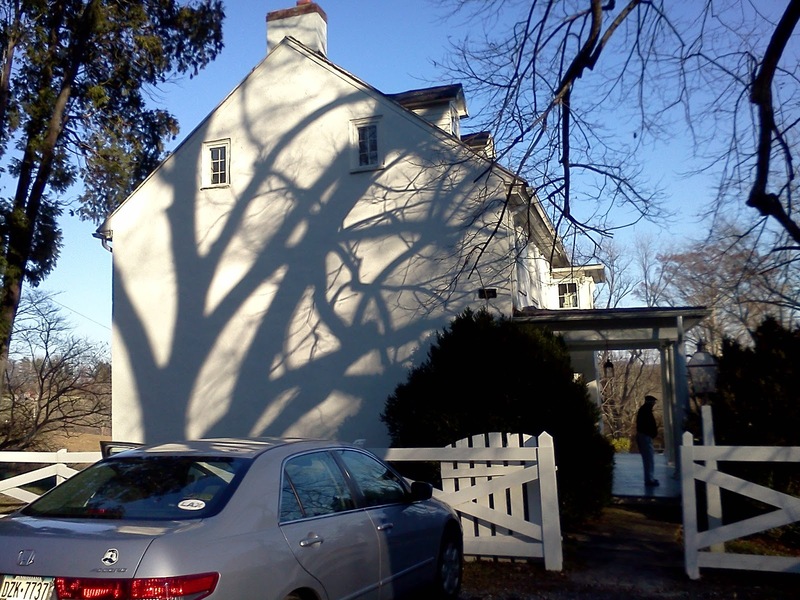 The George School is a private Quaker boarding school in Bucks County near Newtown Township, PA, not far from my brother's place in Yardley, PA. My brother added that its Quaker ties are not as strong today as in yesteryear, as the current student body is predominantly Asian and Jewish. Andrea Gaines arrived a few minutes later, and we exchanged greetings in the Friends meeting house library, as shown below. Ed later offered to drive us around the Lincoln Loop in his 4-wheel drive SUV. As we gathered in the parking lot around his car, my brother and dad grabbed the family album pictures they brought with them and shared them with Andrea. "You made my year!" Andrea told my father. She was glad to add another chapter to her ongoing preservation of Lincoln's history. Soon after, we traversed the bumpy-but-scenic and historic Lincoln Loop. Ed proved to be a sure-handed driver, ably taking us over hill and dale and gravely trail on the "Lincoln Loop" Tour, while Andrea Gaines gave a running commentary and pointed out points of interest. We had pulled into the driveway of the property just as the current owners were saying farewell to their college-bound children. When the couple approached us, my dad rolled down the window and explained who we were. But my brother, realizing that a picture is worth a thousand words (a cliche that rings just as true in today's digital PhotoShop world as ever! 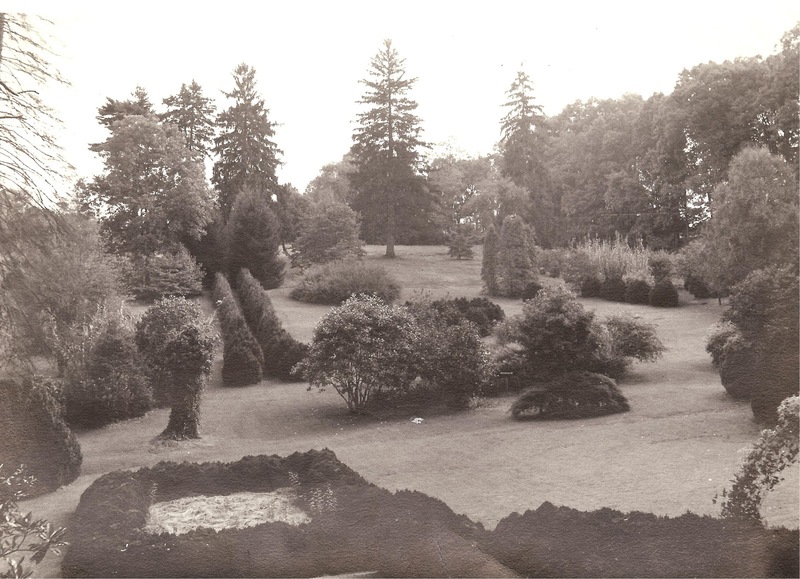 ), quickly pulled out and flashed a vintage photo of our Warner and Hoge ancestors at Evergreen Farm that immediately resounded with the LeSourds. "Oh my God!" Nancy LeSourd exclaimed. "You used to own Evergreen! We want to hear all about it!" The LeSourds graciously invited us inside and gave us a tour of the house, excited to learn more about the farm's history. They had undertaken major renovations to preserve Evergreen Farm and wanted to hear about its past. 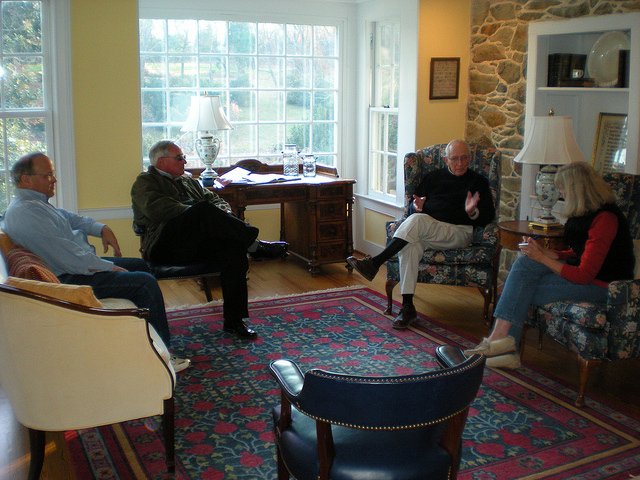 As we sat down to share memories and stories with each other, we learned that Jeff LeSourd is Marketing Manager for Evergreen Marketing Solutions, LLC while lawyer-author-teacher-historian Nancy LeSourd has written four books of juvenile fiction in Zonderkidz's "Liberty Letters" series. (See her author profile here.) 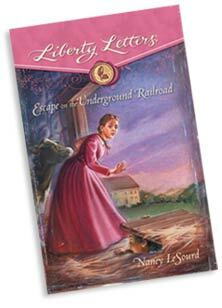 This series introduces fictional female characters "whose courage, ingenuity, and faith shaped events in U.S. history. 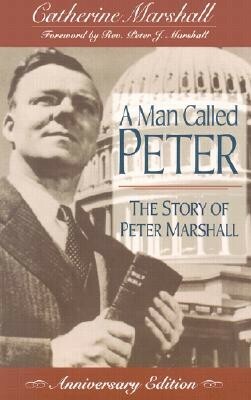 Each story reveals how God works through ordinary teens in extraordinary times." 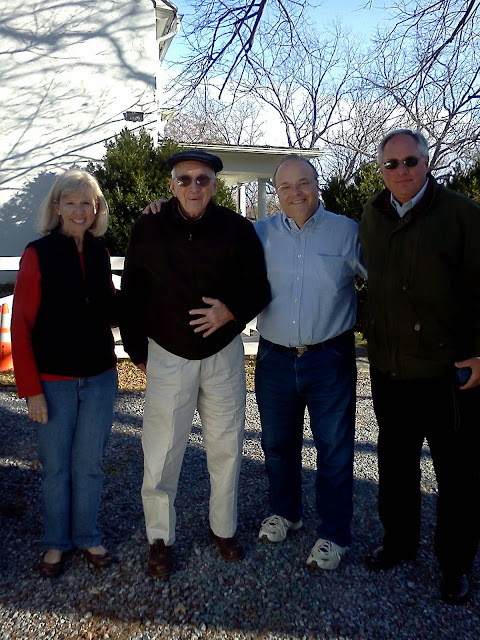 Nancy gave us copies of her books: ATTACK AT PEARL HARBOR, SECRETS OF CIVIL WAR SPIES, ADVENTURES IN JAMESTOWN, and ESCAPE ON THE UNDERGROUND RAILROAD (pictured at left). 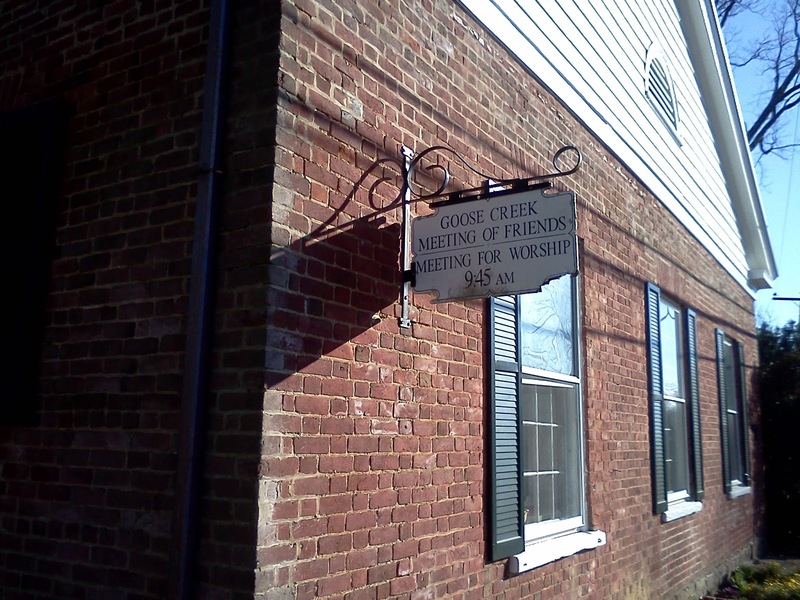 In the latter story, some of the events actually take place in the Goose Creek/Lincoln area of Loudoun County. In addition to doing a lot of research about their antebellum home, the LeSourds have undertaken major renovations to try to preserve its legacy. They were excited to show it off to us, with Nancy adding that she thought the house itself was grateful. It certainly is a survivor; my dad recalled that during the Civil War, it was overun by Union Troops who were ready to torch the place until they were talked out of it. They compromised by settling on a barn burning! 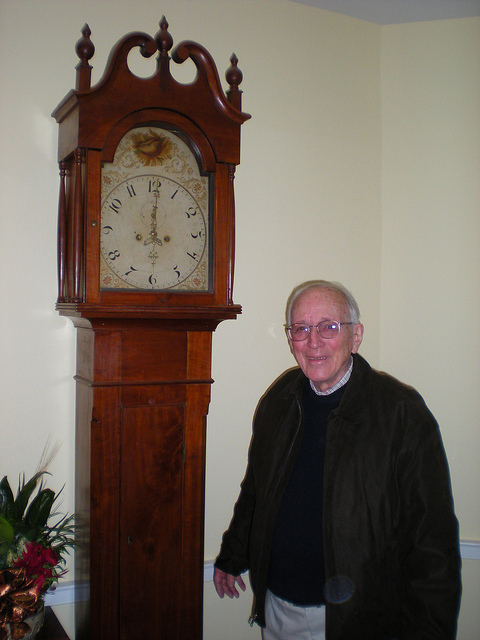 My dad had started to tell Nancy LeSourd about how he came to inherit the antique cupboard from Evergreen Farm, while the grandfather clock was bequeathed to his brother Howard. "Wait! 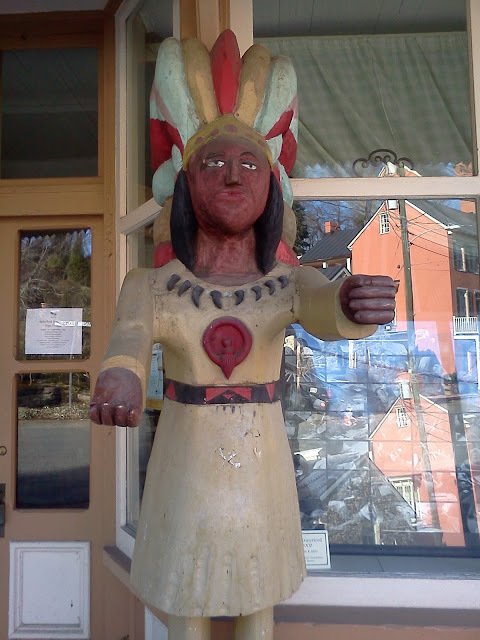 I have something to show you," Nancy exclaimed, and led my father out into the hallway. "Here's your clock!" Time flies but dad and his clock are still ticking! My dad was stunned to see this when Nancy LeSourd showed it to him. It was like the "Rosebud" moment in Orson Welles's Citizen Kane. 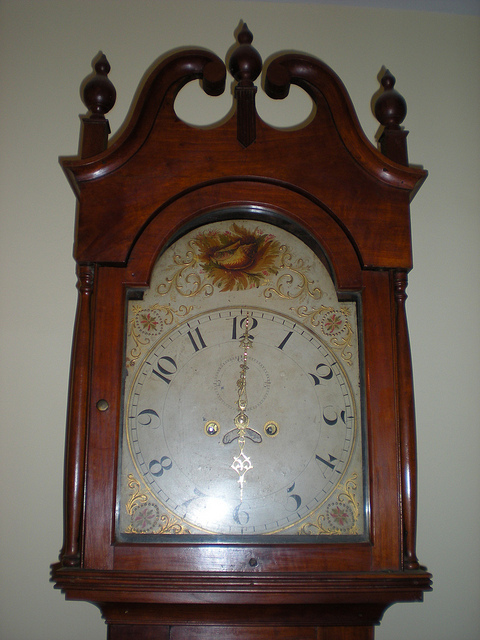 At one time this clock belonged to the Warner family at Evergreen Farm. 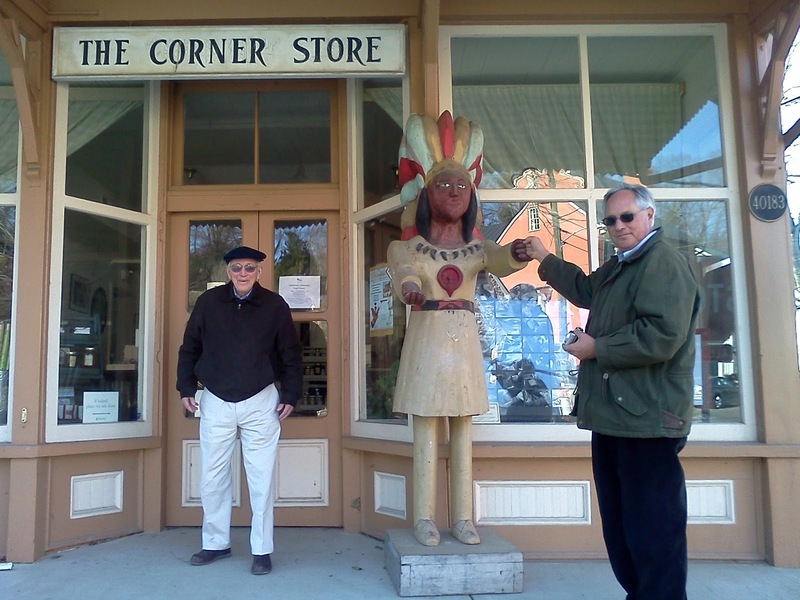 My dad recalled that it was supposed to have been left to his older brother Howard (with Dad getting the cupboard - which he still has), but instead ended up with another family until current Evergreen Farm owners Jeffrey and Nancy LeSourd purchased it from Lella Russell Smith and restored it to its rightful home. That other family was the Smiths - Howard Hoge was married to Sarah Smith and Lella Smith must be a relation from that family line who acquired it at some point from MY Uncle Howard (my dad's brother). After asking her husband to fetch a flashlight, Nancy opened the grandfather clock to show us something inside. "You have to see this," she said excitedly. Inside, the name "Yardley Taylor" was inscribed on the clock. The Warners are somehow related to Yardley Taylor (don't ask me how - I'd have to consult the Taylor Family Tree that my dad and brother have copies of! 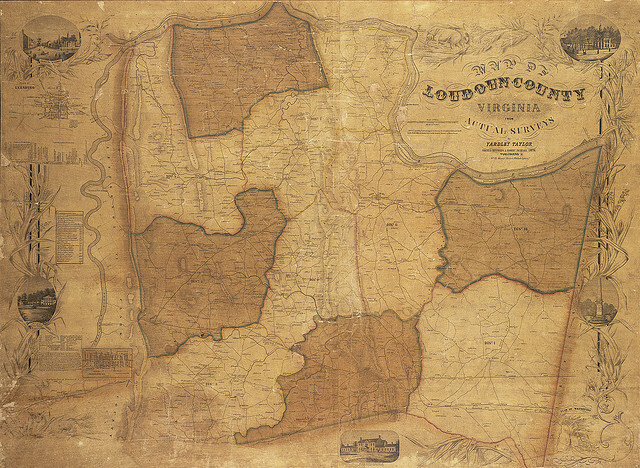 ; additionally, my brother lives in Yardley, PA and my niece's middle name is Taylor), a famous local surveyor whose historic map of Loudoun County (shown below) is in the Library of Congress archives. My dad has an original of Taylor's historic map of Loudoun County. 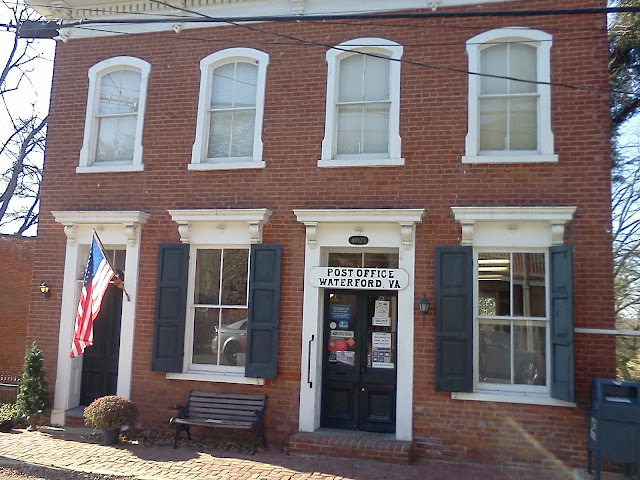 Even the Leesburg Tourist Information center only has a (smaller) copy of this richly detailed map. If it's a Scheel, it appeals! Hence our itinerary for Monday was a visit to nearby Waterford to try and catch Mr. Scheel, an "old-school" artist who eschews e-mail (you can only contact him by mail or phone at Eugene M. Scheel, PO Box 257, Waterford, Virginia 20197; (540) 882-3428). 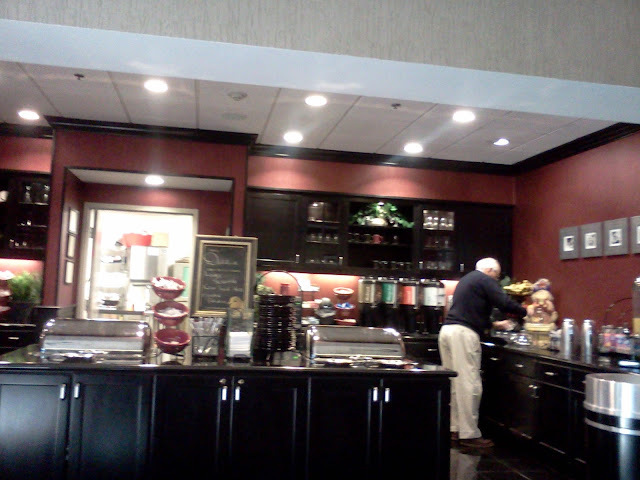 But first, we checked in at our hotel in Leesburg, Virginia. Our overnight accommodations were researched by my sister-in-law Candy and booked by Billy Jr. - a winning combo, because Homewood Suites by Hilton in Leesburg was swank! They had everything from a a complimenrary breakfast buffet to suites with refrigerators, microwaves, toaster ovens, WiFi, and HD TV with HBO! Pink House street view. 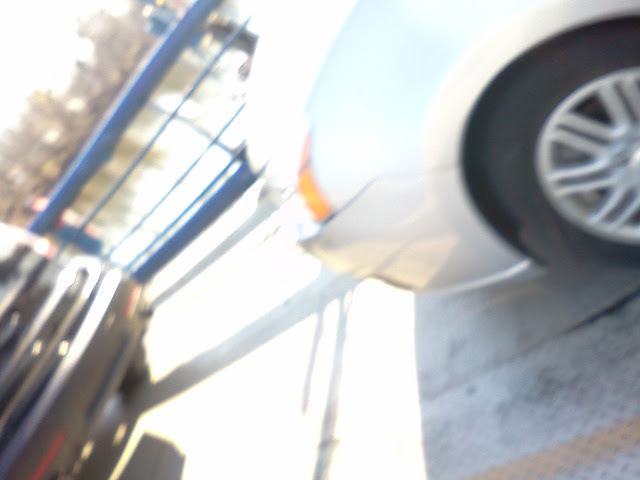 The parked car's vanity license plate said "XTC"! We found Mr. Scheel's P.O. box at the Waterford Post Office, but not him! We couldn't replicate our LeSourd visit to pop in on the current residents of Warner's Bottom at Warner Crossing - there was a big "Beware of Dog" sign that deterred us from getting out of the car, much less knocking on the door. We've all had far too many medical misadventures this year to test our luck! 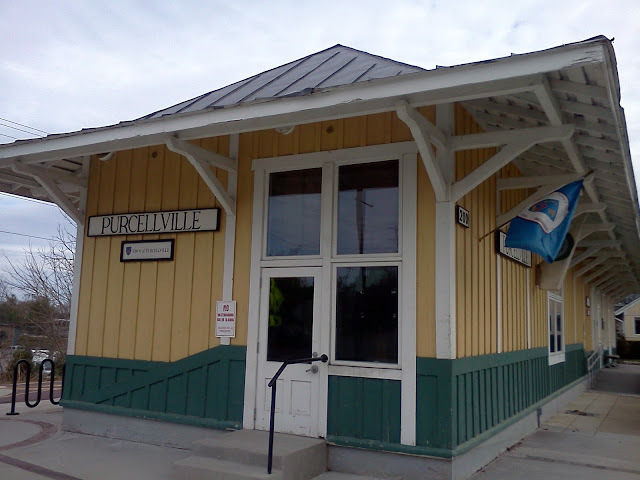 Oh, forgot to mention that on our way in, we stopped for lunch in Purcellville, VA, which is very commercialized compared to Lincoln. 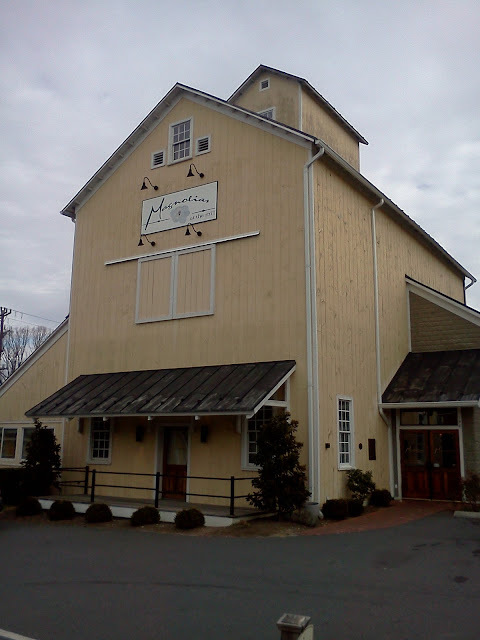 Andrea Gaines had recommended Magnolia's at the Mill as a good restaurant to try in Purcellville, so we heeded her advice and were not disappointed (good call, Andrea!). It was a great recommendation and our waitress was even British. "Where from?" I asked her upon hearing a Cockney accent. "What's your footy team?" I asked, curious. "Chelsea!" she responded with enthusiasm. The restaurant was inside an old, refurbished mill, with beautiful decor and an impressive menu. All three of us ordered the asparagus and mozzarella omelette (which was delish!) and Billy and Dad ordered wine, the perfect tonic to a long drive down! 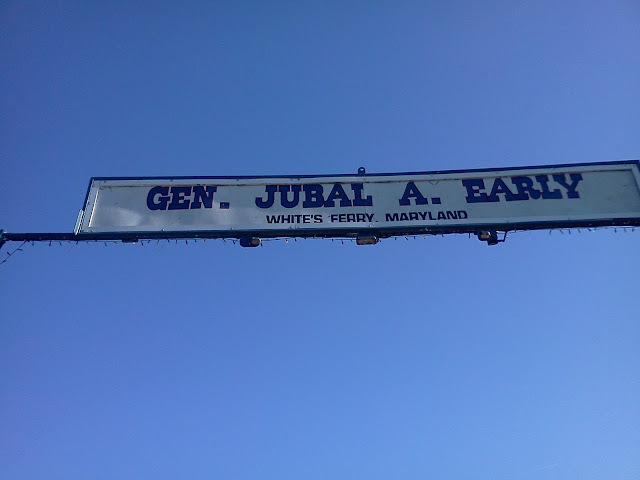 On our way home, we crossed the Potomac at White's Ferry (a steal at only $5 a car) at the end of Route 655 near the Ball's Bluff Battlefield and National Cemetery, VA (declared a national historic landmark in 1984) and at the beginning of White's Ferry Road near Poolsville, MD. Balls Bluff is near, if not very dear, to the Warner heart because of The Battle of Ball's Bluff. It was there that Union Brig. General Charles P. Stone (allegedly a distant relation of my grandmother's side of the family) was blamed for a massacre at the hands of the Confederates when troops under his command attempted to scale this hill in October of 1861. Stone was basically made the scapegoat for the political outcry that followed the death of a U.S. Senator in the battle. His judgement was considered so suspect that the Union suspected him of being a Confederate spy, and imprisoned him for treason (though he was never tried). He was later exonerated, but his military career was dubious, at best. Interestingly, future Supreme Court Justice Oliver Wendell Holmes, Jr. took part in this battle (surviving a near-fatal wound), which was subsequently commemorated in Herman Melville's poem "Ball's Bluff - A Reverie" (1866). 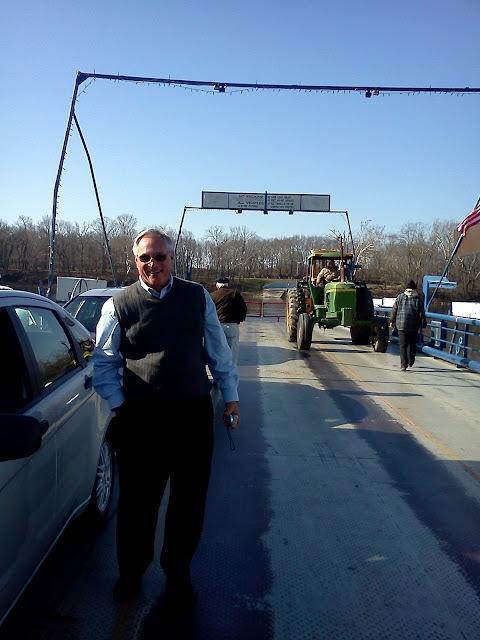 "I don't have the $5 for the ferry," Billy laughs. "We'll have to make a run for it!" "My God, the car's slipping into the river! No wait, I just tilted the camera by mistake!" 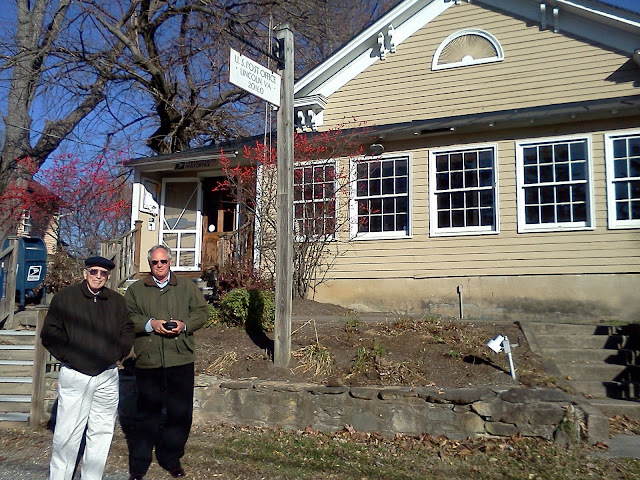 And that was our Warner mini-tour of Loudoun County! What a great trip! I would love to go back to my family home on the Magothy River, but the new owners knocked it down and put up a huge modern monstrosity. 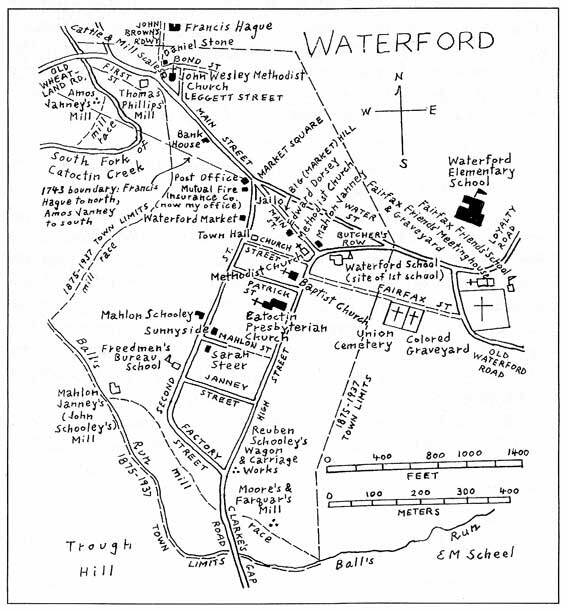 I used to go to Waterford every autumn for the craft fair held in the historic buildings and grounds. You and Amy should check it out. And lastly, soon after Ira and I bought our apartment, two little old Jewish ladies stopped by. Both had grown up in the building in the early 1930s, one in our apartment. So we gave them a tour and talked about the neighborhood. It was really fun! 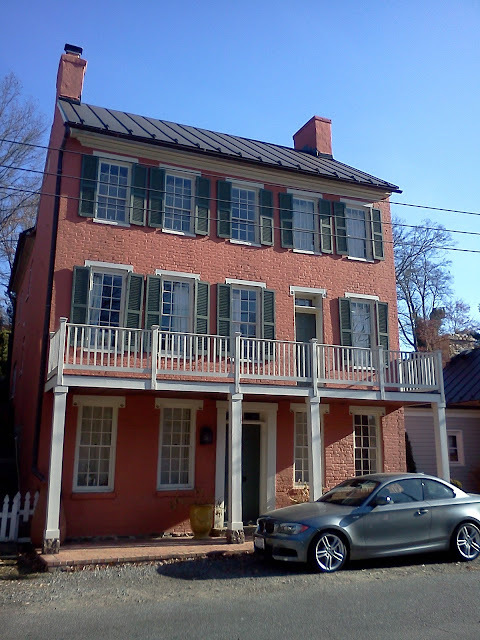 I am Head of the Historic Research Comittee of the Lincoln Preservation Foundation and was so excited to find your blog. We are highlighting many of the properties in and around Licoln and have chosen Evergreen Mill as one of our upcoming featured properties. We were wondering if you had any other information or stories from you Dad that we could write about. If you go to our website, lincolnpreservation.org., you can see what we have done so far. Our first featured article was about the "Taylor Plow", our current featured site is the "Unfinished Manassas Gap Railroad". We would love to hear from you. 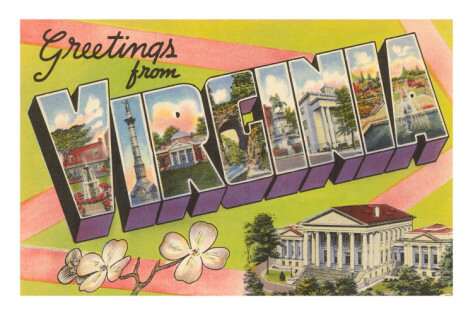 My email address is virginiageller@yahoo.com. Look forward to hearing from you! I enjoyed this very much indeed, having grown up in Lincoln and in the Friends Meeting. 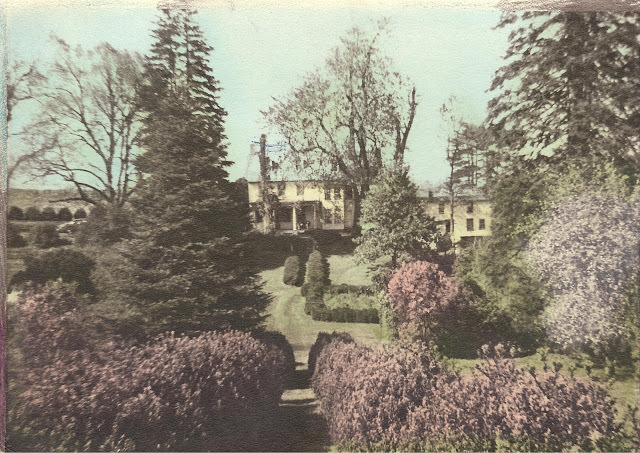 I have dim memories of Dr. and Mrs. Warner, and less dim ones, believe it or not, of his mother, Alice Warner, who lived from 1866 to 1960, when I was eighteen and just out of George School. She was the daughter of Daniel J. Hoge, who married Sarah Taylor, a daughter of Henry S. Taylor. 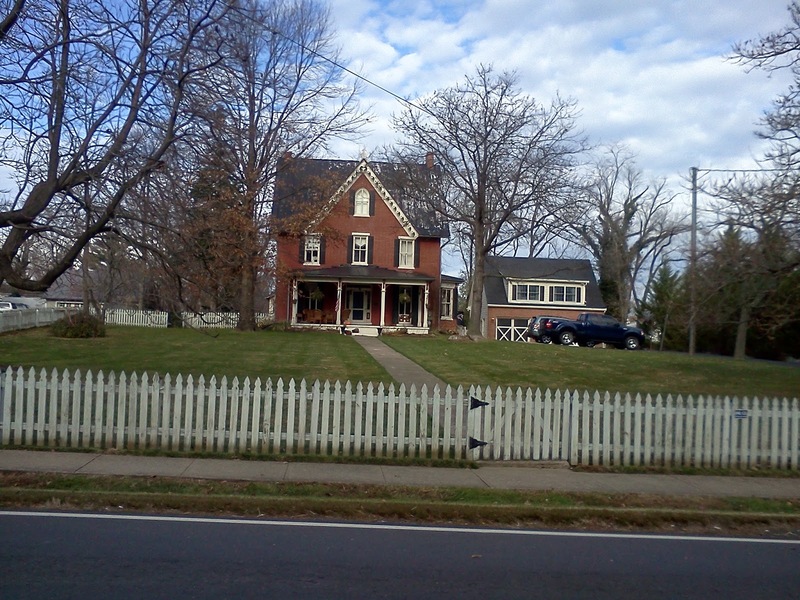 The Yardley Taylor connection is that Yardley and Henry S. were brothers, both sons of Bernard and Sarah Taylor.